David Coleman and David Westcott join the show to discuss the new release of the Sybex CWNA Study Guide. David Coleman and David Westcott have released an updated version of the Sybex CWNA Study Guide, 5th Edition. 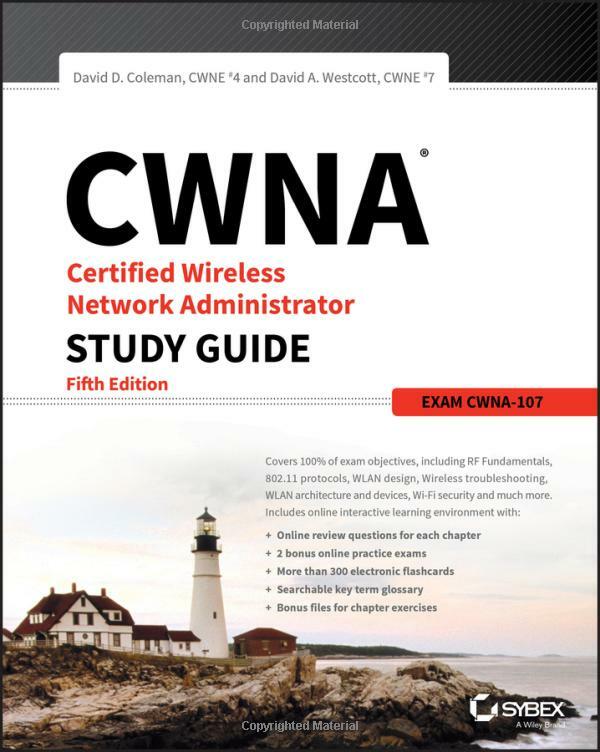 It’s been refreshed for the CWNA-107 exam and it’s packed with a lot of content. As Coleman and Westcott will describe in this episode, it’s been quite the process completing the study guide. With so much Wi-Fi technology out there, and being backwards compatible, there’s a lot to include. What you’ll also find is information for the upcoming 802.11ax. With the 5th Edition of the Sybex CWNA Study Guide, there has been a complete overhaul. The study guide doesn’t follow the objectives in order. Coleman and Westcott have reorganized the content in order for it to have a natural flow. There’s more of a logical chapter order. There’s a new chapter about WLAN design concepts and a new chapter on WLAN troubleshooting. In addition to hearing about the book, Coleman and Westcott talk about how they got into Wi-Fi and ended up writing the CWNA Study Guide together. We discuss the process in writing such a technical book which includes a lot of research of the 802.11 standard, testing, and editing. You’re not getting a regurgitated version of the 802.11 standard in this study guide. You’re getting a lot of real world information that will be more than useful for the CWNA-107 exam. It will be a study guide and a reference. Cannot win CWNA Student guide if you live outside the US. Pity !